Colors of Care is designed to transform the culture and environment of assisted living facilities by offering a fresh solution to the need for communication, connection, and healthy expression for residents and their families. 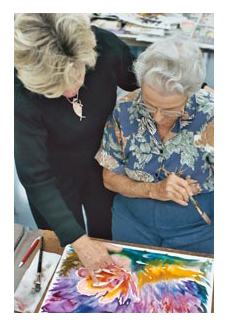 The ArtThread Colors of Care Program provides a unique expressive and creative arts program designed to offer therapeutic and recreational activities for people in a variety of populations. 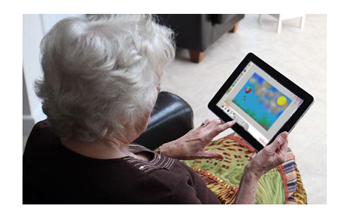 The program uses online technology, hands-on art-making, and staff training to improve residents’ quality of life. 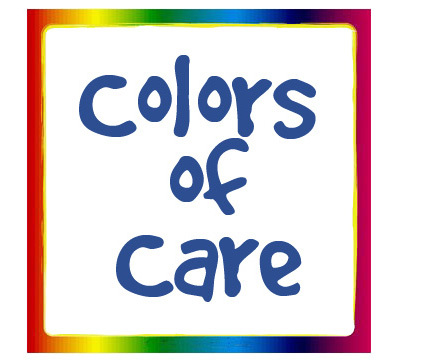 Colors of Care offers a path for all members of the resident’s family to participate, strengthening the vital family support system that is so needed by the residents, and highly desired by administrators and staff. Imagine combining the infinite power of creative expression with boundless human potential. Imagine an occupational or physical therapist encouraging simple movement that results in a rainbow of colors on a wall-mounted smart board, or residents sharing their joy as their group masterpiece is made using the simple swipe of a finger while being projected on the wall where they can share it with everyone. Now imagine the enrichment when all family members can be part of the process when visiting, or from their home. ArtThread’s technology makes it possible for families to interact with and respond to these wonderful resident activities from anywhere a family member or friend can access a computer. With the use of ArtThread technology existing traditional art and craft activities can be fused with Colors of Care programming so every day is an art show at assisted living facilities, and every day is a day to celebrate victories and accomplishments. And finally, envision the impression made upon family members when they come to inquire or visit and see common-space flat screen monitors streaming resident arts shows and digital messaging that celebrate the life and accomplishments of all the residents. Residents: Colors of Care gives residents a supportive and "no-fail" environment to tap into their creativity. Both active and passive art-making activities provide opportunities for both distraction and productivity, and the ability to "remember better when I paint!" Families: ArtThread technology makes it possible for families to interact with and respond to resident activities from within the facility or anywhere a family member or friend can access a computer. Activities staff: Colors of Care provides a broad set of creative tools for staff members to work with residents in making, sharing, and viewing art, and at the same time provides a standardized and track-able method for delivering improved quality of life to residents. The community: ArtThread's Gallery tools provide a way to share art with the community at large, and the included Caring for the Caregivers program gives facilities a way to reach out into the community and share their message and their good work. The core of the Colors of Care Program is the ArtThread Interactive Online Gallery, a place where everyone an make and share art online in an art-to-art conversation. As residents and families build their own unique repertoire of photos, paintings, drawings, sculptures, or artwork they make online, the Colors of Care Program provides a way for the public to purchase a selection of one-of-a-kind products imprinted with student art.